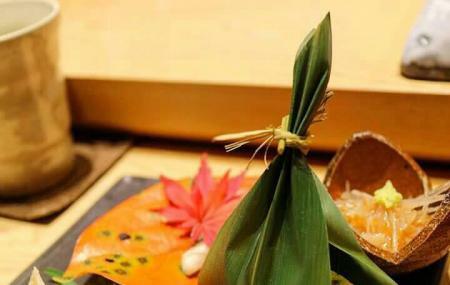 Ginza Sushi Ichi is the perfect place for you to enjoy some authentic Sushi cuisine. You have to book your seats early as it gets filled up quickly. You will get to eat quality foods here at reasonable price. The staffs are extremely cordial here. The atmosphere here is perfect to have a quality dinner in the dim light. You will get the best omakase in Bangkok here. All the dishes are prepared with care with the fresh natural ingredients. This place is highly recommended to have a peaceful and a quality meal. Add accommodation and hotels in Bangkok that suit your budget including the most recommended ones like Kokotel Bangkok Surawong, Icheck Inn Silom and Amber Boutique Silom. How popular is Ginza Sushi Ichi? People normally club together Dream World and The New Rot Fai Market Ratchada while planning their visit to Ginza Sushi Ichi. We came for lunch and left pretty unimpressed with the selection of nigiri we were served. Was also surprised that the hand roll had vegetables inside rather than fish. The rice was quite good and the service was very pleasant. I wish we hadn't had a man sitting next to us who ordered a different menu, because the fish he got was much better than us and I might not have known what could have been. Back from a truly fantastic restaurant - everything came together into the best dining experience my wife and I have had in Bangkok. I don’t want to spoil your visit so I let the pictures speak for themselves. Try it out! A Michelin stared Sushi bar offers you a best Sushi experience. No doubt to say, this is the best sushi bar in Thailand. With tense atmosphere as is usual in sophisticated Japanese restaurants, but please relax.